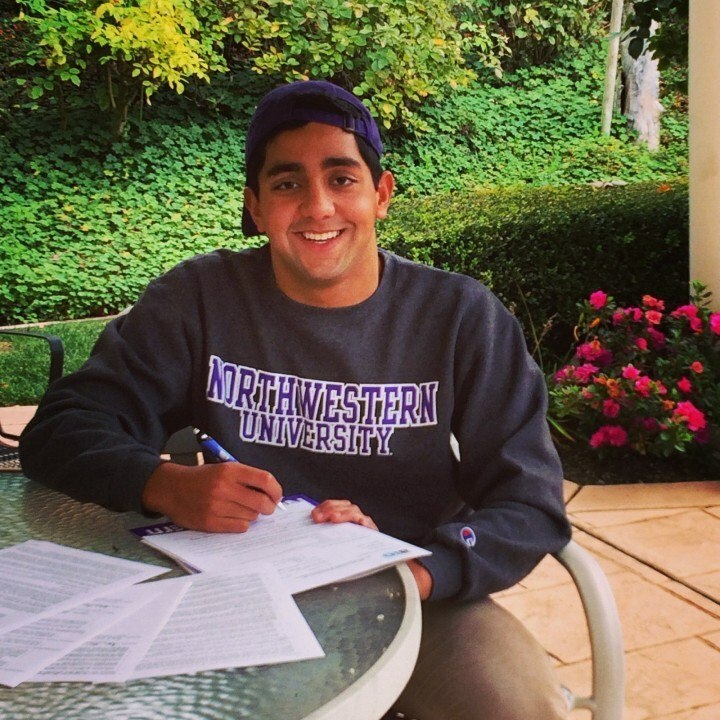 The Northwestern Wildcats have received a verbal commitment from Arjun Sharma, a promising young sprint butterfly/freestyle specialist out of Oakland, CA. 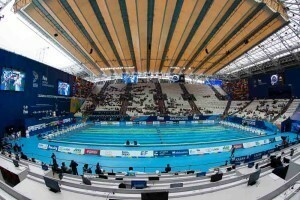 Sharma represents The College Preparatory School in high school competition and also swims for Walnut Creek Aquabears in Northern California. 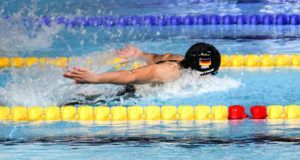 Notably, Sharma has improved his short course speed in the butterfly consistently during his time at The College Preparatory School. After setting a personal best in the 100 fly in a 51.83 as a freshman, he dramatically improved to a 49.50 the following season before dropping another full second during his junior campaign. Northwestern’s sprint program is replete with young talent, and several underclassmen currently assume sprint duty in the freestyle and butterfly events. In their 2013-14 season, the Wildcats were led by then-junior Mark Ferguson in the 100 fly with a 47.82 season-best time while current sophomore Andrew Jovanovic was right behind him at a 47.94. Jovanovic has been a 47.18 before during his senior year of high school, and the Wildcats have a few other youngsters under the 49 second mark with current freshman Nick Petersen (48.12) and current junior Grant Halsall (48.38) consistently swimming the event. This provides a ripe opportunity for Sharma to rise within the Wildcats’ ranks as he will immediately have a multitude of talent to train with beginning on Day 1. In the sprint freestyle events, the Wildcats suffered a heavy loss last year after the graduation of 2013 NCAA Qualifier Chase Stephens (19.84/43.14/1:3639 in the 50/100/200 SCY freestyles), but were able to recover slightly with the signing of numerous blossoming sprinters in the Class of 2018. 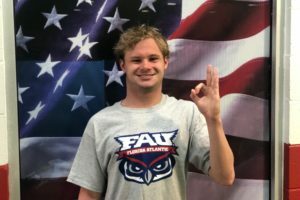 Headlining this class was Israeli import Almog Olshtein (22.62 50 LCM free, 50.69 100 LCM free, 24.42 50 LCM fly), although Florida native Gage Kohner (20.44 50 free, 44.62 100 free) and Wisconsin-based Petersen (20.87 50 free/45.08 100 free) were fine additions as well. Although Sharma doesn’t factor into these events immediately for the Wildcats, his senior year could be a fundamental stepping stone en route to transitioning into individual and relay sprint duties during his freshman year. 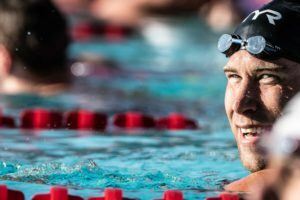 Given his tendency to improve in the butterfly year-by-year, head coach Jarod Schroeder and assistant coach Andrew Sheaff can still be excited to pad on to their already young sprint group.